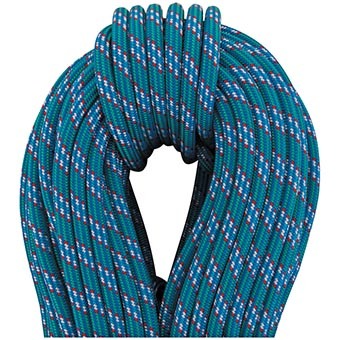 The Beal Ice Line 8.1mm UNICORE is a lightweight half-rope made using Beals UNICORE technology. UNICORE permanently bonds the sheath to the core to eliminate sheath slippage and improves performance and safety, especially in wet conditions. The Ice Lines extremely low impact force settles the nerves when facing less-than-perfect protection points in ice and on mixed routes. A trump card that no alpinist can ignore. USES: Extreme ice and alpine climbing.